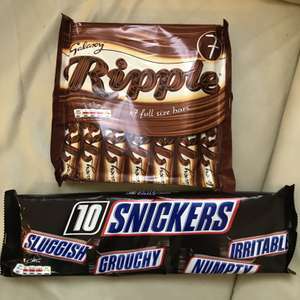 Ripples the best out there right now, the other chocolates are a rip off. I find the ripple is like a sponge, it takes out every bit of moisture in your mouth. Saliva glands have to work overtime to eat the damn thing! Ripples are Flakes in safety jackets. Cowards.